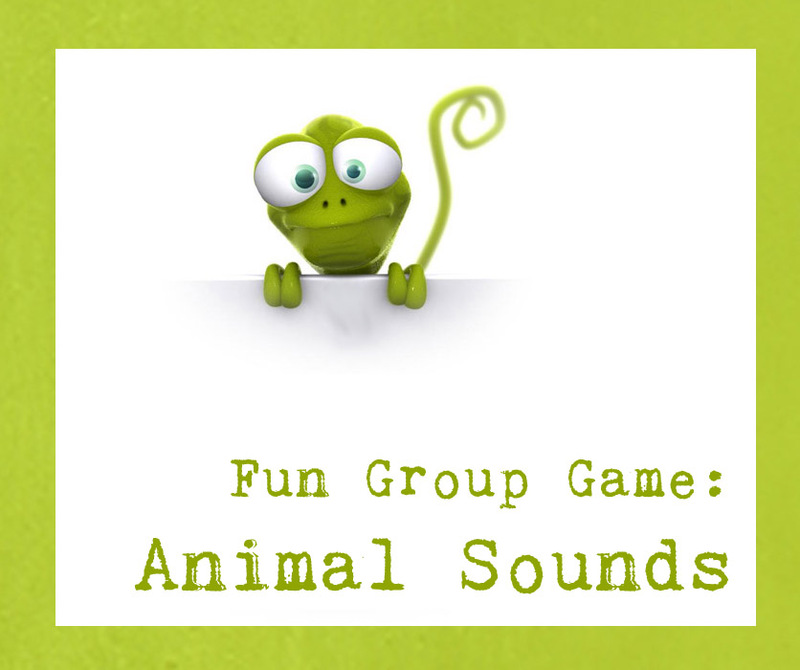 Animal Sounds-After we played this game with my 6th graders, we talked about how this might relate to friendship or success in school. My students actually found some really good connections! We also played this in preparation for our Shakespeare play and discussed how, in this game, you have to be confident to get the job done, vocal so people can hear you, and enjoy what you’re doing even if you may feel a bit goofy. Although I played this with my 6th grade class, 4th and 5th graders can play this game successfully too. Players close their eyes, and then a teacher moves among them whispering the name of an animal to each person. The challenge is to find all the other animals of one’s own kind, and the first group to be completed wins. No one can talk; players can only make animal sounds. Loud chaos ensues, and gradually order and unity emerge as animals find one another. Be prepared to shepherd people from danger, though usually the game is very safe. Many do not move much, but rather focus on listening and calling out to others. animals (aim to have the same number of each animal—around three of each) might include wolf, cat, pig, kangaroo, snake, lion, crow, monkey, frog, elephant, and others. It was fun to make it more challenging at the end, but throwing in choo choo train, pirate, leaky faucet, race car and other wacky sounds like that. 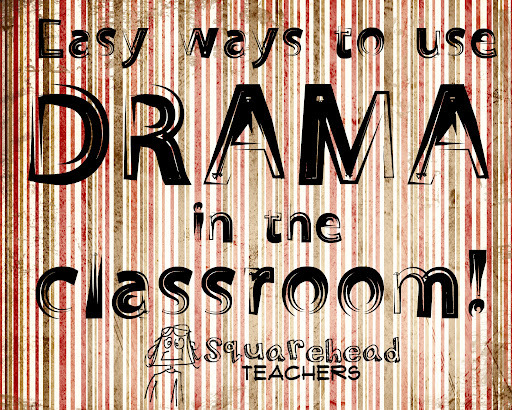 I took a phenomenal class about drama in the classroom. Here’s my lesson plan from the class. 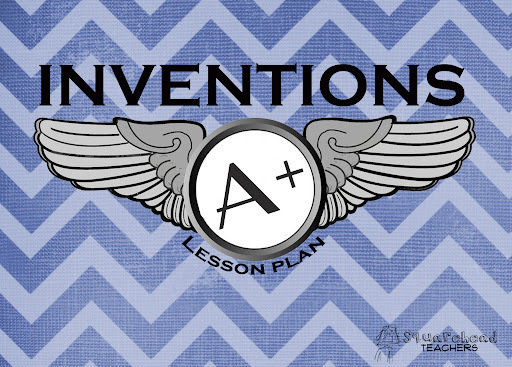 It’s about inventions and it’s geared towards upper grades. Enjoy! This set of lessons explores dramatic work as one learns to express a story. Since drama can be defined as “an actor with a conflict” and, in most theatre, drama is contained and expressed through story, story literature and character archetypes from six different cultures are explored. The lessons are linked both to theatre arts standards and history/social science and language arts curriculum standards. Emphasis is placed on expressional fluency, critical thinking, divergent thinking, cooperative learning, creating solutions to problems, and comparing and contrasting cultures and style. Students participate in acting exercises, games and playmaking. Note: It is very important that you, as the teacher, are able to retell the story, without using notes, in your own words. Know the characters, what they say, what happens next, etc. If you falter, the energy of the story will falter, and the students will begin to fall out of the game of acting out the story. So, know the story cold! Students will dramatize a story using props and costumes, responding to cues, and making creative choices appropriate to their character and the story. Remind the students how the storyteller needs the audience and the audience needs the storyteller. 1. Review the choices the class made last lesson. 2. Make sure the students know that a cue is. (A signal to do something) Tell them that we are going to use cues today in order for everyone to know when to play their parts. · The Mandarin’s Palace, with chairs for the Council and Mandarin. · A faraway place, from where the old wanderer comes, and where the messenger rests until it is time for his part. 5. Review who is audience and who are actively acting (by you physically keeping the focus), until everyone knows what is expected. 7. This is where your finesse as teacher, will come into play. For many children you can cue “So the Mandarin said……” and the child act the appropriate part of the story. For some children you will need to say “And so the Mandarin told him to come over by the throne…” You leave a pause and the child will say “Come over here by the throne!” Sometimes you will need to say “And the Mandarin said ‘Come over here by the throne’. And the child will repeat exactly what you say, and how you said it. 8. Try your best to not tell or show the child how to do his/her part. They know the story. Just urge them on with your story narration, giving them more and more clues as to what the character is to do or say next. You will find all levels of ability regarding understanding and accomplishing of jumping into the drama. 10.At the end of the story, give each child a chance to receive applause for their work. Praise their storytelling abilities. 11.Repeat if desired, changing parts. A student can take your part at this point. 12. As this is your last lesson, direct students’ attention to the Storytelling Tree. Review all the ornaments, and the associative stories and concepts. Use as much vocabulary as possible, as a review. 13. Direct student’s attention to the present ornament. Remind them you still feel sharing a story is like giving someone a present. Challenge each of your new storytellers to tell one of the stories they’ve learned, or a new story they make up, to someone in their family. Assure your students it will be a wonderful gift, because they have become wonderful storytellers. · Did students dramatize a story using props and costumes, responding to cues, and making creative choices appropriate to their character and the story? · It is important not to put students in front of an audience until they have gained confidence communicating all aspects of their story. That means being able to stay in character, remember the sequences without cues, projecting voice and character and being comfortable with props and costumes. If you and your class want to continue working on these skills…Wonderful! But please don’t put students in front of an audience before they are truly ready. It will be a bad experience for everyone if they go on unprepared. · Ask students if they would like to act out other stories. Use no more than three-four students in a group. Make sure all are familiar with the story. Have them use the same technique you used to help the students act out the story. · In story telling, one generally uses few props and costumes. But designing such is an excellent activity. Have students choose a story and design the costumes and props. They may need to research the country or culture of the story, or a chosen time period. Have them make a design portfolio. Overview: In the past four lessons, the storyteller has modeled making choices of dramatic story telling technique, and invited the students to make choices too. Also, the past three lessons have covered literary character archetypes. Now it is time to use the students’ experience and knowledge to help them tell a story as a performance. This performance is for the class only. The emphasis is on making creative choices. The lesson is designed to give the students experience dramatizing a story. But the audience is comprised of their own classmates, as are the performers. Don’t worry! The students will love to perform just for themselves. It will seem a natural extension of the storytelling techniques you have been teaching, and they have been discovering. If you are tempted to let them share their stories, as a performance, with another audience, please see the “Integration…etc.” section at the end of this lesson. Note: This lesson is in two parts. This lesson involves making many preparatory choices. The next lesson is the actual performance. · Students will make creative dramatic choices when they, in partnership, portray a dragon, of their own design. · Students will identify the character archetypes of Hero, Villain, and Fool. · Students will identify the Who, What, When, Where, and Why of the story. · Students will identify the moral of the story. · Poster depicting dragons in various times, cultures and countries. —–or other story , teacher’s choice. Wise Man, a book; General, faux armor; Merchant, moneybag; Workman, sweat rag around neck; Messenger/Spy: A sash or strip of cloth, tied diagonally across the chest (quasi military style). For the Wild Horsemen, the Villains: Strips of faux tiger skin to tie on arms, or legs, or as headbands. Dragon, The Magical Solution: Child sized staff, or walking stick. · If you are using a Storytelling Tree, a small broom ornament, or a dragon ornament would be appropriate. 1. Move the dragon poster out of sight. not an even number of students in the class. 4. Give the students about five minutes to talk over their project. When they begin to look as if they need to get on their feet, give them permission to do so and “practice” making their dragon. 7. Note for the children that even though they are all making dragons, everyone’s dragon is different from the other dragon. 8. (“Isn’t that interesting! Everyone thinks they know what a dragon looks like.” ) Show the students the title of the book. 9. Read and/or tell the story. 12. Warn the students that everyone will have a part to play. But not everyone will get to play the part they want to play the most. (“Will we be able to tell our story if we have one Han and nineteen dragons?”) But everyone will have a part. 13. Proceed to cast the parts as makes most sense for your class. You can choose, or the children can volunteer. Whatever way you decide, remain firm, and brook no objections (There is reason the Director in Theatre is called “Director,” not “President,” or “Teacher.”) Invite each student to cast to the front of the class, and have them put on the costume or hold the prop. 14. Note: Actors, as a general rule, love to play villains . You can stifle many objections by making the Wild Horsemen—which will be “everyone else” who has not a named part—seem the most exciting part to play. Give them cues to make the sound so hoof beats. Give them a cue to wave their swords, and growl. Give them a cue to shoot their bows and arrows. Pretty soon, everyone will want to be a Wild Horseman. · Did students attempt to create dragons? · Were students able to identify the elements of the story and the archetypes. Fool stories delight us for so many reasons. One way these stories delight us seems especially relevant to children. This is when the Fool is more lazy, more clueless and more out of control of his life than we are. Adding physical comedy to storytelling helps captivate the audience. · Students will exaggerate physical movements in order to create humor. · Students will begin to identify the who, what, when, where, why of a story. · Students will identify a moral to the story. 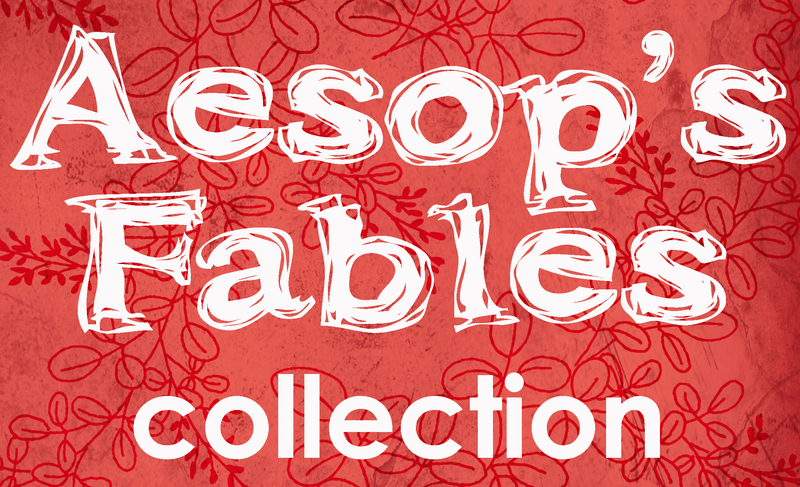 · Poster of classic fool characters from folk and fairy tales, and popular culture. · “Buried Treasure, a Story from Italy,” Usborne Stories from Around the World, Retold by Heather Amery, Usborne Publishing Ltd., London, 2000; or other Fool story, teacher’s choice. · A folk nonsense song, grade appropriate, such as “John Jacob Jingle Heimer Schmit,” “I Know an Old Lady Who Swallowed a Fly,” “There’s a Hole in the Bucket,” etc. Noodlehead,, numbskull, bumpkin, silly, bobo, fool. Younger students may also need to know: hammock, fertilizer, merchant. If you are using the Storytelling Tree, note the ornaments to review the stories that have already been told, and the character archetypes represented. Tell the students that since they have learned so well about “good guys”, (heroes, protagonists,) and “bad guys” , (villains, antagonists), now they going to have a little fun. But first! A song! Sing a nonsense song the students enjoy, such as John Jacob Jingle Hiemer Schmidt. Enjoy yourself too. This lesson needs a light touch, and a bit of silliness. The song and singing can set a nice atmosphere for fun. As the saying goes, comedy Is hard, but it should also be fun! 1. Display the poster of fool characters, along with the vocabulary words. Have the students read aloud all the vocabulary wards. Note for them that there are many ways to describe the “funny guys” in a story. 3. Write on the white board Who, What, When, Where, Why. Ask the students to keep in mind these words as you share with them the next story. 4. Share “Buried Treasure.” Instead of “manure” you may want to say “fertilizer.” Keep the lettuce concealed until the last minute, so that the students discover the lettuce at the same moment as Mario. (Place the artificial lettuce as an ornament on the story telling tree.) 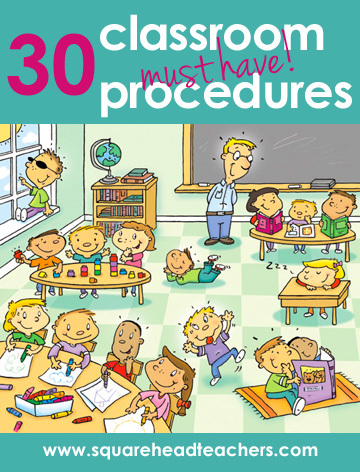 If the students are young, you may add sound and motions as you did in the other lessons. 5. Ask the students to identify the 5 W’s. This should be brief. 6. As in lesson three, ask students to find a space in which they can work, in the classroom. They need to be near no one else and not near equipment, furniture, etc. Ask them to get into a “small ball.” Ask them to make a picture in their brains of Mario pulling weeds. And they should remember that Mario has never pulled weeds before, so he probably didn’t know how and wasn’t very good at it. He probably looked pretty funny. 7. Instruct students to “grow” into Mario pulling weeds and to pull the weeds in slow motion. Count as before. After “10,” say “Freeze!” Be amused, at their efforts. 9. Try the techniques with pulling weeds, digging up a cloud of dust, spraying water and spreading fertilizer. Each time, encourage students to first, be specific in their pantomime, and then exaggerate the motion to make it funny. 10.Last of all, let the students show you how Mario looked the first time he saw all those rows of lettuce appear as if by magic. 11.For a cool down, ask students to lay down on the floor, as if they were laying in Mario’s hammock, in the warm sun. Have them breathe as was described in Lesson Three. 12.Before students return to seats, ask them to think about what the story was meant to teach. Focus students’ thinking on what Mario has learned. Write the word moral on the white board. Remind the students that stories tend to Teach Warn and Entertain. (See Lesson One.) Have a quick discussion on the purpose of this story. Note: Steps #3 and #12 should be brief. They serve only as introductions to the concepts. Follow up occurs in the next two lessons. · Did students identify the 5 W’s and the moral of the story? Note: Discretion must be used to make sure that a discussion on “Fool’ characters does not give students the impression that it is in any way acceptable to make fun of “slow thinkers” or the less experienced among us. Always ask, “Did the story teach, warn or entertain us?” , and ask the students to note the moral of the story. This should keep the discussion on the right track. 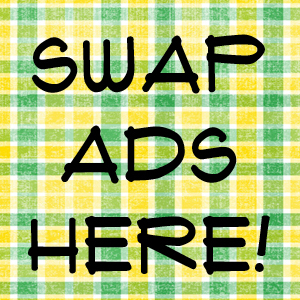 · Invite students to find a “fool story” from at least three different countries or cultures. You may direct them to the “Jean Sot” stories of the American South, “Bobo” stories from Mexico, “Chelm” stories of European Jewish culture, etc. Fool characters also co-exist with “Trickster” characters such as Navajo “Coyote” stories, African “Anansi” stories, and from the American South, Brer Rabbit stories . Modern examples include the picture book series featuring The Stupids. Even the Amelia Bedelia stories are gentle “Fool” stories. Encourage students to retell the stories to the class. · The Grimm’s fairy tale “Jack and the Golden Goose” (it goes under many titles) is a classic Fool story. The bumpkin character of Jack is endearing, and the other characters in the story end up appearing much more foolish than Jack. Read the story to children. Encourage them to act out the part where the towns people who try to steal the goose end up sticking to each other. Remind them to be specific and then exaggerate in order to create the humor. Villains in stories throw into sharp relief the goodness and strength of heroes. Not only do villains represent humans who thwart noble hopes and dreams, but frequently villains represent natural and supernatural powers. These powers are mysteriously at the villain’s beck and call. A dramatic, colorfully drawn Villain character ensures the reader’s allegiance to the Hero and heightens the story’s conflict. The vanquished Villain provides a satisfying climax to the story. A good story teller uses his/her body, voice and mind to make the story come to life. And a few well chosen props don’t hurt either. · Students will compare and contrast heroes and villains. · Students will use their bodies, voices and minds to portray a villain’s encounter with a hero. · Correlating pictures of Villains for all the fictional Heroes. · “Baba Yaga, The Witch”, Usborne Stories From Around the World, retold by Heather Amery, Usborne Publishing Ltd., London, 2000; or other Villain story, teacher’s choice. If you are using the Storytelling Tree, review the previous lessons as prompted by the ornaments already hanging on the tree. Note, but do not explain, the new ornaments (dog, cat, comb). Tell students that these new ornaments are characters and items that will appear in today’s story. 1. Present the poster from last week, along with the correlating pictures. Invite the students to match the “bad guys” with the “good guys”. Briefly review the concept that heroes overcome obstacles. Introduce the word antagonist, and use it throughout the lesson. 2. Ask “If heroes overcome obstacles, what do villains do?” After discussion, write the following on the white board: Villains try to stop heroes. Ask students to identify the ways the villains on the poster try to stop their correlating heroes. 4. Note: At this point the students will be eager for the story and will be asking to see the book. Tell them today that you are going to share the story from your head. Remind them not all stories are written down in books. We also carry stories in our heads and in our hearts. 5. Indicate you will use a few things to help tell the story. Get out the bandanna, towel and comb, and lay them ready to use as props. Refer to them as your props. 6. Tell the story. Be sure to use your voice and body to create the characters and dramatic tension Add sound and motion as you see fit, inviting the students to participate, as you have in the past two lessons. 7. Additionally, use the bandanna to wrap an imaginary piece of cheese. Indicate the dog and the cat ornaments, when you mention these characters in the story. Use the comb and towel as they are called for in the story. 8. Invite the students to find a space on the floor where they will be able to stand without touching anyone or anything. Call upon them to use their common sense not to stand near equipment, doors, walls and furniture. 10. Ask students to make a picture in their minds of Baba Yaga. Describe the character vividly so that the student can create a clear picture. 12. Begin counting. If children exercise good creative effort and control, finish counting and say “Freeze.” Look carefully, commenting on their good work. 14. Be sure to be encouraging, and not dictatorial as they create their witch characters Ask “Do I see iron teeth?… oh, is she really old?… Are your hands like Baba Yaga’s?… Your mouth?… Your legs?” Students will change as you point out various details. That’s fine as long as they are creating their own work, and not copying someone else’s characterization. 15. Now, invite each witch to step into her mortar, pick up her pestle and “Bump, bump, bump,” through the forest, chasing Misha. Remind students that they may touch NO ONE while traveling. Be firm about this, or you will have kids behaving in an unsafe manner. 17. “I wonder what Baba Yaga would yell at Misha? Go ahead and tell Misha how mad you are at her! Show with your face and your voice how frustrated you are that she got away!” Encourage students to respond. · Did students use their voices, minds, and bodies to create the Villain character? · Were students able to correlate villains with their heroes, and participate in a discussion of comparison and contrast? · Have students Name as many fictional heroes as they can, (Think fairy tales, folk tales, comic books, animated television and movies, live action television and movies.) then villains associated with them. Encourage students to name the ways and means the villains try to stop the heroes. · While Baba Yaga stories are rather rare in the United States, in Eastern European literature, the Baba Yaga character is ubiquitous. Assign students to research other Baba Yaga tales. · Ask students to write an ending to the story that has Baba Yaga give up her evil ways. Discuss how students feel about the ending. Is it satisfying? Will it be as fun to tell? · Note: Be sure to assure very young children that there is no such thing as Baba Yaga. Make sure that in their dramatic play she is vanquished. Overview: Stories of “Good Guys” achieving success against great odds, achieving definitive victory against those odds, seem to be particularly satisfying to the human soul. Whether the hero is likely or unlikely, with supernatural powers or only deserved or blessed luck, he or she, at some point, must overcome an obstacle. The obstacle must be overcome by strength and/or ingenuity. This is the ongoing struggle that human beings, and perhaps especially children, face. A good Hero story inspires us to be valiant in overcoming our own obstacles. · Poster of heroes, real and fictional, some easily recognizable, others obscure. Include a variety of ethnic and genders, current and historical heroes. Group the fictional heroes together and the nonfictional heroes together. You will need the group of fictional heroes for Lesson Three. · Horton Hatches the Egg,by Dr. Suess, Random House, New York, 1968; or other “Hero” story, teacher’s choice. · Students will differentiate between pictures of real and fictional heroes. · Students will participate in pantomime of large physical obstacle. · Students will generate list of ways to overcome the pantomimed obstacle. · Students will participate in sound and motion during telling of the Hero story. Display the pictures of the various heroes. Ask children to identify the characters. Help them to determine which are fictional, and which are real life heroes. Help the children identify those heroes with whom they are not familiar. Share bits and pieces of their hero stories. 3. Repeat step #2 at least two more times, with alternate ways of overcoming the obstacle. 4. Using the white board, write ”Good guys” . Ask students if it is reasonable to describe all the pictured heroes as “good guys”. Write the word “hero” on the board. Share with students the fact that this is another term to describe “good guys”. 5. Write “Heroes overcome obstacles.” Ask for an example from the poster of a hero who overcame an obstacle. Keep equating “solving a big problem”, with “overcoming an obstacle. · “Soon it was Autumn. The leaves blew away.” Sound of wind, motion of leaves flying. · “…and said with a sneeze,” Invite students to sneeze as Horton would sneeze. · “They taunted. They teased him.” Invite students to make “Nyaaa, nyaaa, nyaaa, nyaa, nyaa” or other playground teasing noises. · “He held his head high, and he threw out his chest…” Invite students to do the same taking Horton’s stance. · “Rolling and tossing and splashed by the spray…” Invite students to make the sounds and motion of the ocean. 9. Review how this fictional character, Horton, was the hero of the story, by helping students to identify the obstacle Horton overcame. 10.If you are using the Story telling tree, ask a student to place the egg ornament on the tree. · Were students able to identifyfictional and nonfictional heroes? · Did students participate in the dramatic play of the Obstacle pantomime, including offering ways in which to overcome the obstacle? · Did the students participate, as cued, using sound and motion during the Hero story? · Invite students to write or draw a picture of a story in which they, themselves, are the heroes. The obstacle the hero overcomes should be clearly identifiable. 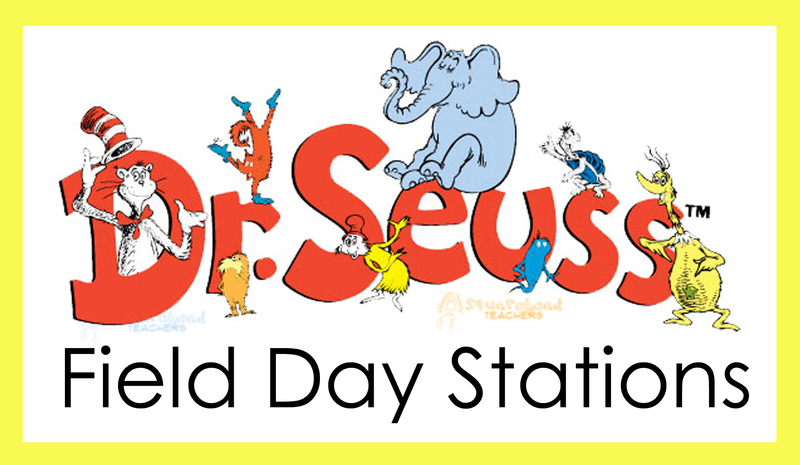 · Invite students to read Horton Hears a Who, also by Dr. Suess. Encourage them to find places in which the audience could add sound and motion to aide the storyteller in the sharing of the story. · For older students: Ask students to represent a nonfictional hero’s obstacle in a visual art medium. (For example, a student might draw a picture of Jackie Robinson jumping over a hurdle representing racism.) Discuss how the hero story, told in words, can be translated into visual art. · For older students: The hero of a story is most often the protagonist of a story. However, sometimes he/she is not. Challenge students to take a hero story, and, without changing the main details of the story, make another character the protagonist. Tell the story from another character’s point of view. Overview: Storytellers have existed throughout time, with the necessary consent and participation of their audiences. Storytellers’ audiences range from the nursery to political gatherings, religious disciples to the farmers’ hearth, the royal court, to the lecture hall. Storytelling exists to teach, explain, demonstrate devotion, entertain or all of the above. 1. Children will participate in sound and motion stories, responding to appropriate cues. 2. Children will, through their participation, demonstrate the concept that as a storyteller cooperates with an audience, the audience cooperates with the storyteller. (Note: In this lesson, as in subsequent lessons, stories and books will be suggested. However, other stories and books can be substituted depending on teacher choice. The teacher can choose a different Hero, Villain or Fool story. There are plenty of these stories in every country and culture. It is important that the teacher be excited about the story, and prepare to tell the story in as an exciting and engaging manner as possible. The storyteller’s art is one of the dramatic arts! So, in looking for substitute stories, chose a story you really enjoy telling. · Tasty Baby Belly Buttons, by Judy Sierra, Illustrated by Meilo So, a Borzoi Book, Albert Knopf, publisher, 1999. · A potted live or silk plant or tree, large enough to support “ornaments.” Use these ornaments to represent various characters and items in the various stories. The ornaments can be placed on the “Storytelling Tree” as a review tool, or as items to pique interest about the story the students will hear during the lesson. The following are a list of items I have used. These “ornaments” will be noted in the following lessons as optional materials, and the teacher can make his/her own choice as to which items to use, if any. Also, naturally, as the choice of stories and books will vary depending on teacher choice, so will the ornaments. That said, here is a list of ornaments and their corresponding story. Vocabulary: (as grade appropriate) Note: Vocabulary listed will match with the suggested stories. If the teacher makes other choices, substituting a different story, the vocabulary will, obviously be different. Choose a few students and listen to their stories. Draw students out, asking for details, being delighted that they will share with you. Thank each student for telling you his or her story. Use and emphasize the words story and storyteller. Tell the students you liked their stories so much you might go share their stories with someone you know. (“ At dinner tonight I might say to my daughter that there was this child in my class today, and he had such a great time when he went to the mountains with his Dad and Mom,” etc.) Honor the fact that the students shared with you. Demonstrate that you were a good listener. Repeat specific details of the stories as you speak, so that the students will notice how closely you paid attention. 2. Present How I Spent My Summer Vacation, by Mark Teague. 3. Help the children discover all the storytellers involved. Discuss the fact that Wallace Bleff shared his story with his class. Also, a man named Mark Teague made up the story and pictures of the book. Then point out that you (the teacher) were a storyteller also, because you told the story to your students. 5. Using prepared word strips, or writing on the white board, discuss the following concepts in light of the story you just read. Refer to illustrations as examples of these concepts. 6. Each term noted in italics in the text can be accompanied by a motion as you say them. Share the story as described. (”One morning , as the old woman was washing clothes in the river, a melon came floating along, tsunbara, tsunbara” Using your hand, imitate a melon floating down the river, and say “tsunbara, tsunbara, tsunbara,” inviting and indicating the students to do the same. You might even say, “This is your part!” if students don’t join in right away. · “Zushin, zushin!” Sway back and forth as if you are a monster marching. · Use your hand to toss the dumplings to the pheasant and monkey. · Pretend to get your toes nipped, knees knocked, and head bopped as the animals attack the monsters. · Use a swift sword motion and sound to cut the rope tying the babies. 8. Praise the students for their work. Discuss how they did their job as an audience. Thank them for their help in making your job easier as a story teller, by helping to make the story interesting. Ask, did the story teach us? How? Warn us? How? Entertain us? How? 9. If you are using the Storytelling Tree, invite students to put representative items on it. Include the present to remind everyone that sharing a story is a wonderful gift. Tnank the children again for their stories with you. · Did the students participate in sounds and motions? · Did the students demonstrate their responsibilities as audience members demonstrating open ears, open minds, and open hearts– criteria you discussed and decided together? · With young children, bring in some millet (pet stores have it) and pass it around. Bring pictures or actual dumplings. Discuss how many different cultures have a special type of “dumpling” in their cooking. · Ask students to draw or write a version of their own summer vacation. However, they must have an open mind, and extend their thinking and add some fun exciting new fictional details to their stories. Have the students read or tell their stories to classmates. Classmates may guess what is “real” and what is fictional. · Sing some story songs: “The Cat Came Back”, “The Ship Titanic”, “On Top of Spaghetti”, “Found a Peanut”, etc.